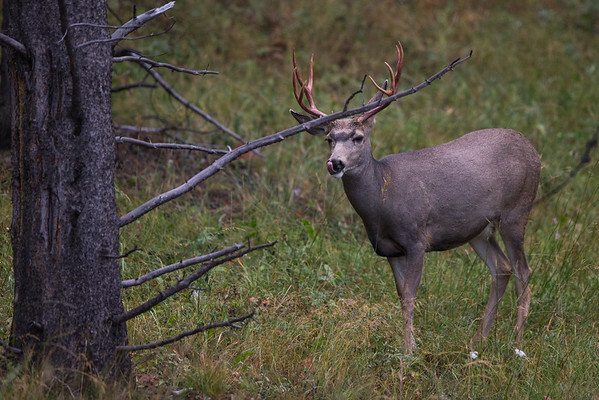 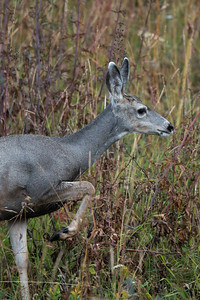 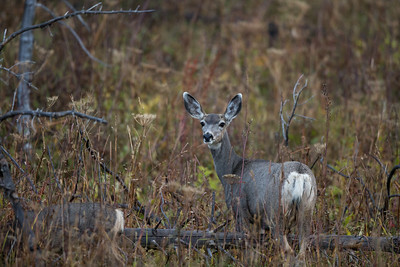 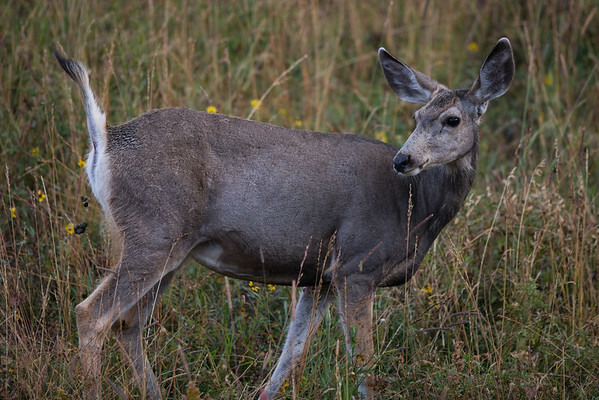 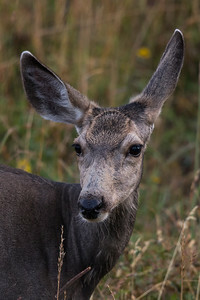 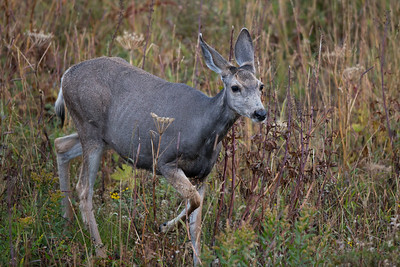 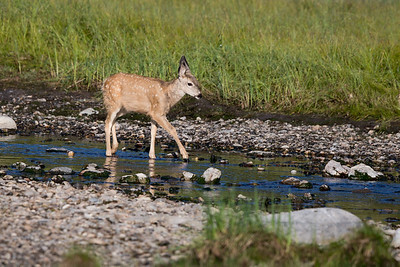 Deer (black-tailed, white-tailed, etc.) 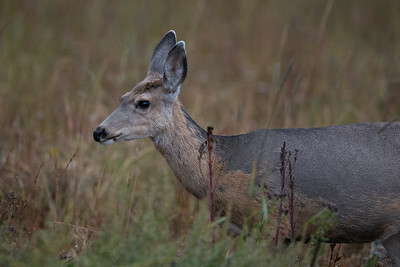 from Yellowstone National Park. 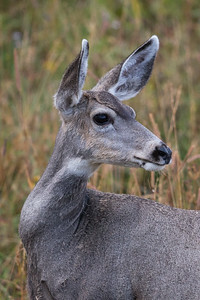 Young Blacktail buck still in velveted antlers. 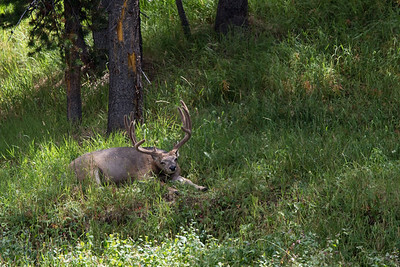 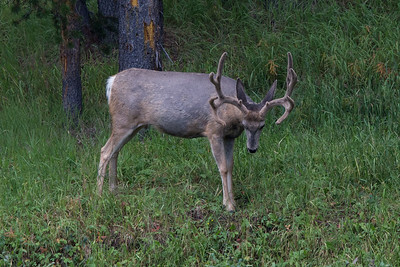 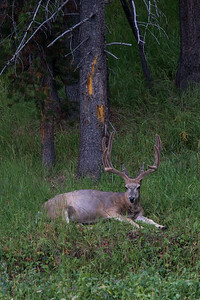 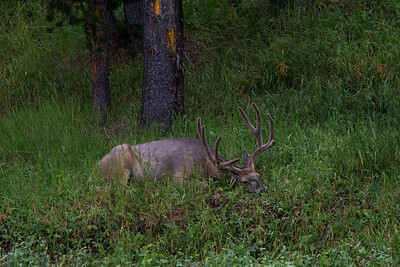 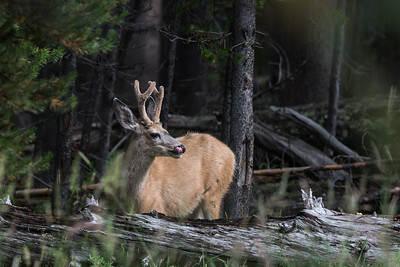 Blacktail buck taking afternoon nap west of Grand Canyon of the Yellowstone. 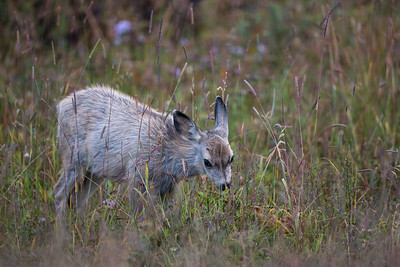 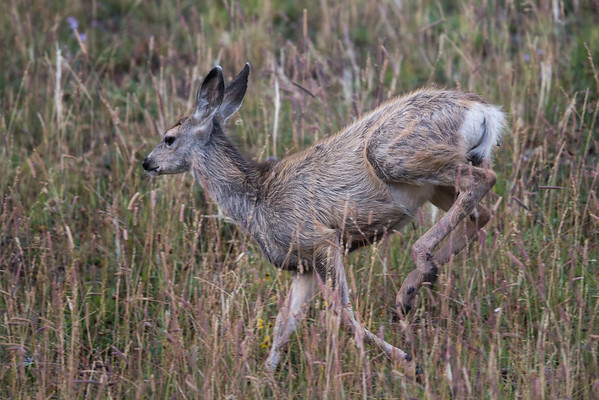 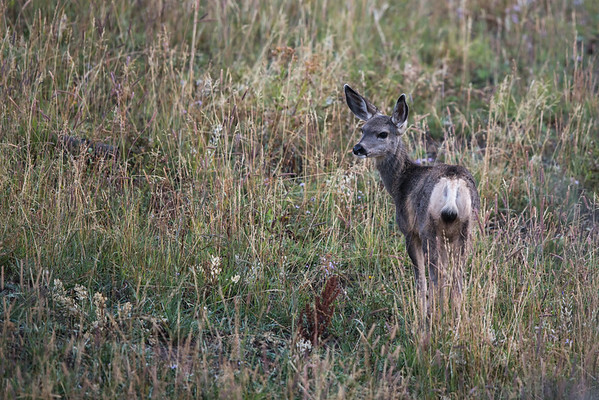 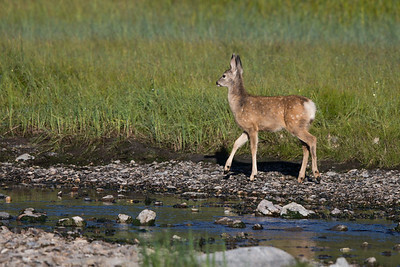 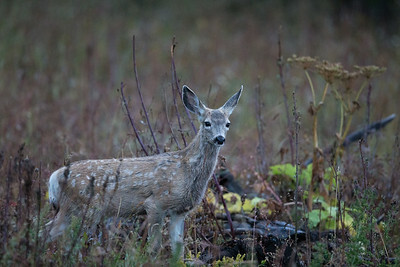 Spotted Whitetail fawn walking along meadow west of Grand Canyon of the Yellowstone. 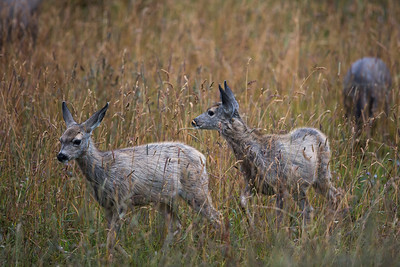 Blacktail mother and twin fawns browse meadow along Mary's Bay on north end of Yellowstone Lake. 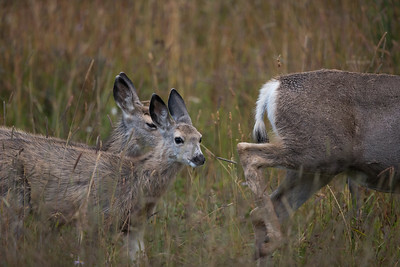 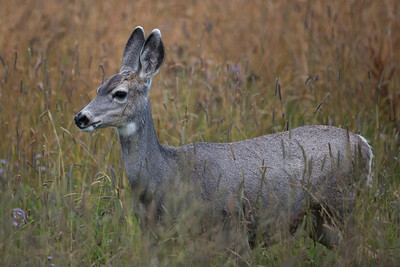 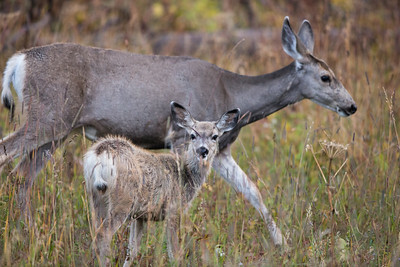 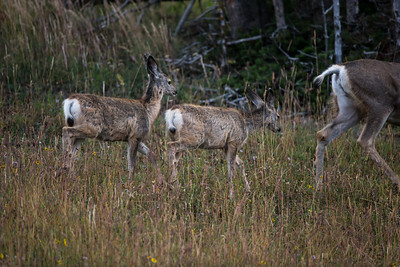 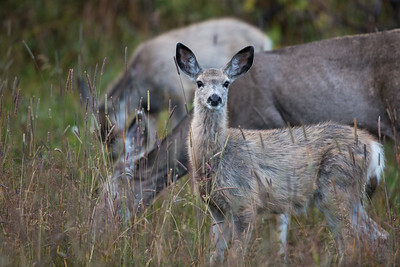 Blacktail mother and twin fawns browse Mary's Bay meadow on north end of Yellowstone Lake.